Create a full line of Custom Studio Wear that will keep classes streamlined for teachers and make life easier for parents. Design a cohesive clothing line in a way that will allow dancers to mix and match. Use the same fabrics and design elements among several differently-styled pieces and include “5678,” the studio name, in a Swarovski rhinestone transfer on each piece. 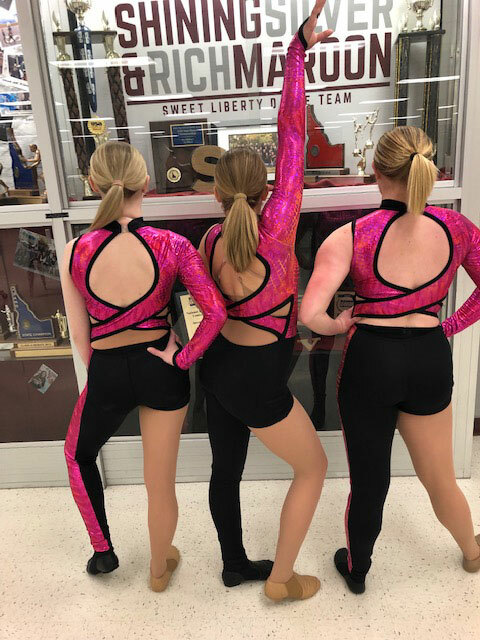 Ensure each item is a reflection of current trends in active and athletic apparel so that the dancers love to wear their on-trend and in-style practice wear both in class and at conventions. 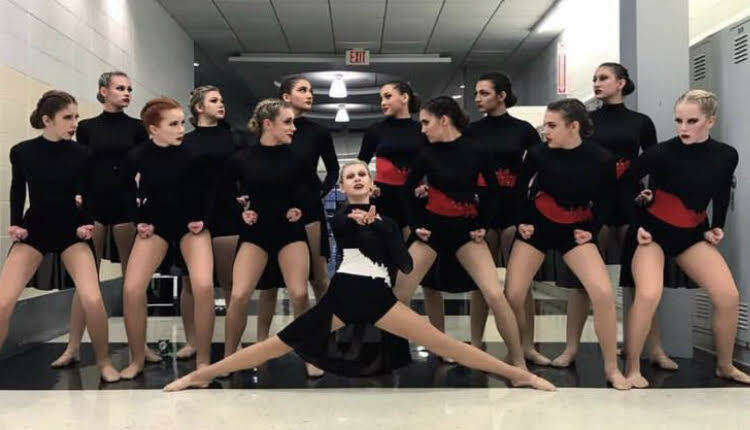 Our friends at 5678 have been ordering studio wear from us for several years, and we try to design new pieces each year that coordinate with the previous years’ designs so that the dancers can continue to wear the studio wear from season to season. Tell us a little about what you are looking for and we will give you suggestions on how to best outfit your team. “I just wanted to share a photo from our team pictures last weekend showing off our new uniforms! We love them! We had no problems fitting the team into the uniforms and they are very well made. 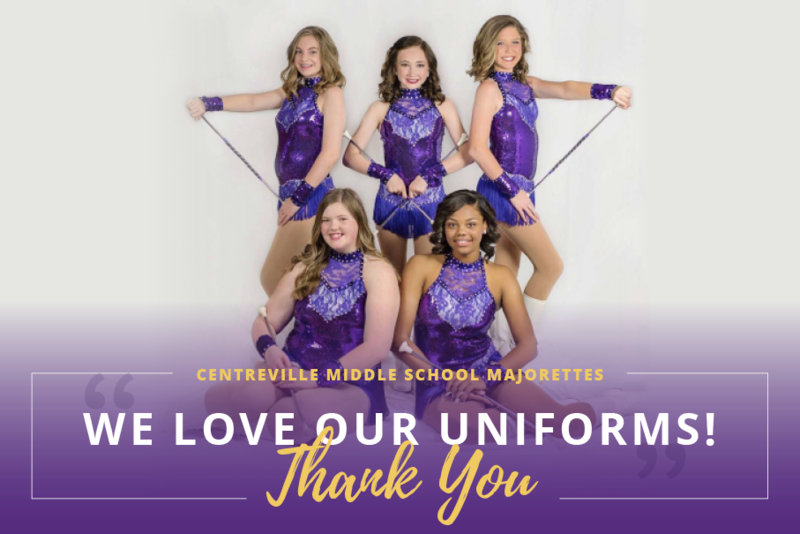 Thank you again for your cooperation and design into making these uniforms perfect for our team! 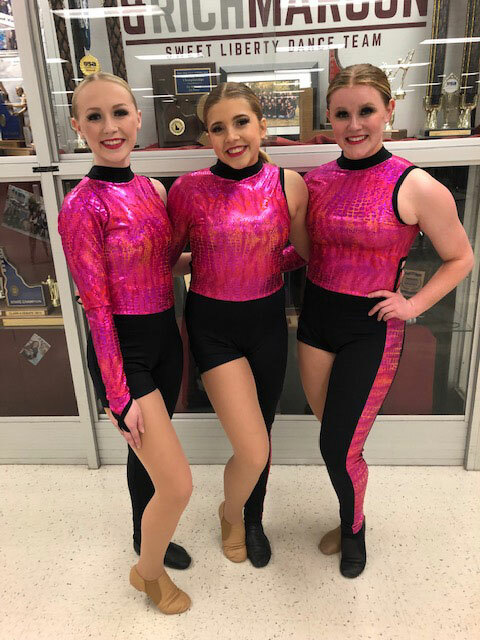 We are excited to create new twirling memories and perform in these amazing uniforms!